The Look: A play on hard and soft -- the lids are accented with creamy peach shadow, surrounded by punchy purple in the crease. The lash lines are dark and smoldering, enhanced with top and bottom false lashes. Strong brows and well-sculpted features complete the makeup, while glossy peach lips play down the bold eye look. Apply eye base all over the lid. Using a dense flat brush, apply a peachy coral semi-matte eyeshadow (Motives Fantasy Palette) to the entire movable lid. 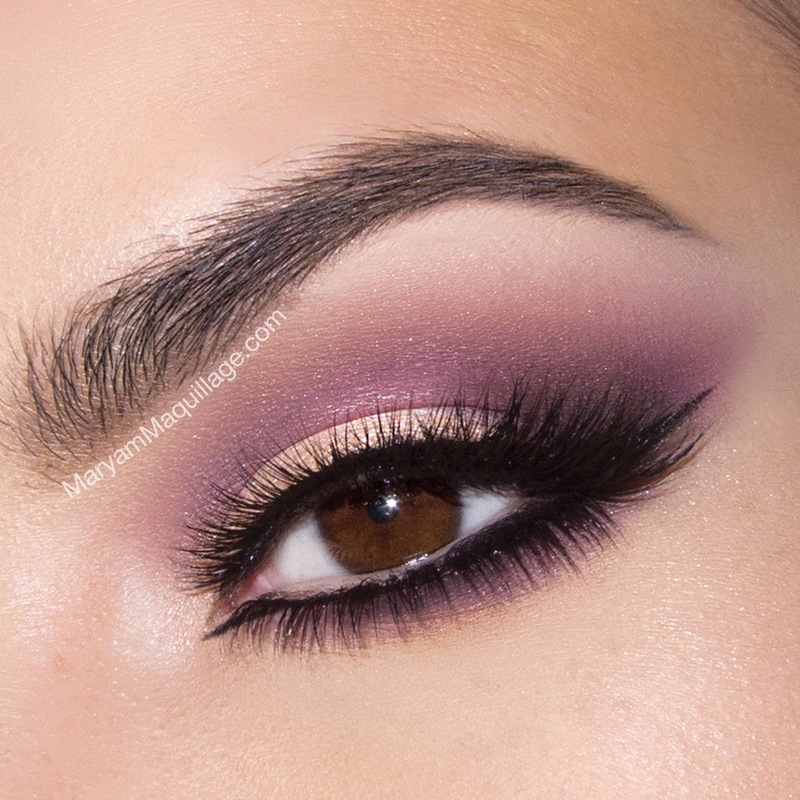 Using a small crease brush, outline the natural crease (fold) and lower lash line using Ecstasy eyeshadow (matte medium purple) and blend the edges outward. Lift the outer corner in a cat-eye style. 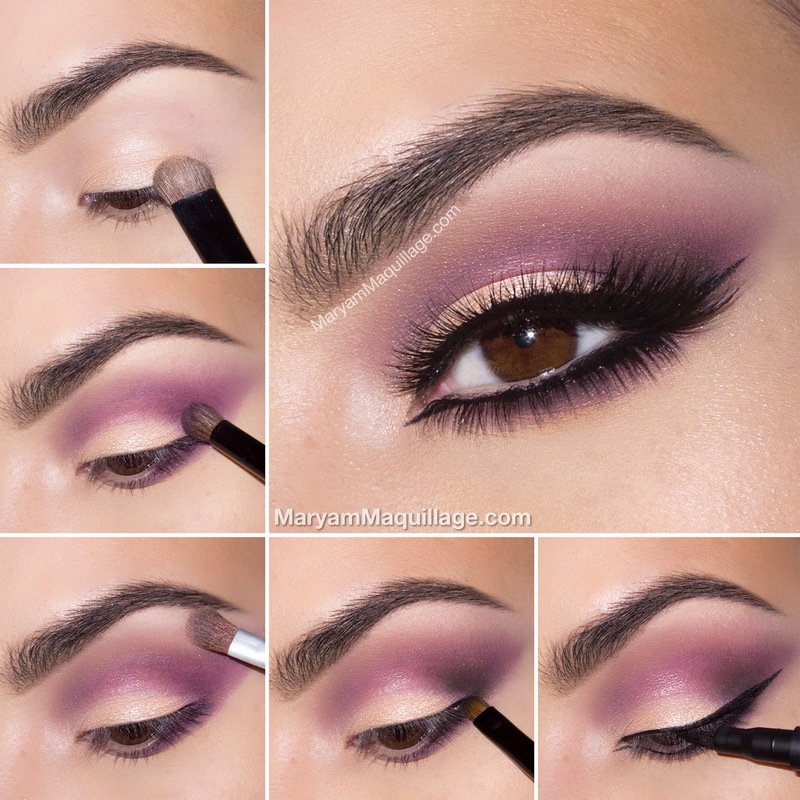 Using a flat brush from the Motives Mavens ELEMENT Palette and Native eyeshadow, blend out the transition between the brow bone and the purple crease color. Next, apply Birch eyeshadow (ELEMENT Palette) directly under the brow to further the gradient. Using a fine detailing brush and Raven eyeshadow (ELEMENT Palette), outliner the outer v and blend it out. Line the top and bottom lash lines using a felt black liner and extend the outer wing and inner lower wing. If you eyes are small like mine, make sure to keep the liner as thin as possible to maximize lid space. Add mascara and false lashes to the top and bottom to increase the smoldering effect. Motives Lip Shine in "Peach Glaze"
The Outfit: This type of casual outfit is my favorite for that everyday "dressy" feel. I love wearing flowing, oversized sweaters, especially in vibrant colors like this peach one from Nasty Gal. To offset the softness of this top, I paired it with modern leather-look leggings from Anthropologie and toughened up heels by Privileged. You look amazing. Love the outfit and your makeup. Great choice indeed!